A licensed and bonded private investigator is a certified professional who has done everything to comply with any and all possible regulations placed on them as a working detective. While most regions require investigators to be licensed and bonded, some municipalities may only require one of the two or neither. Always be sure to ask any investigator if they are licensed, bonded or both, before allowing them to handle your case assignment. This essay explains the importance of proper licensure and bonding in the investigative professions. Licensure requirements vary from city to city and state to state. More and more regions are requiring licenses for people who wish to work as professional investigators. This regulation helps to protect the investigator, the client and the general public. Licenses might require a clean criminal record history and some measure of formal or on-the-job training. Bonded means that an investigative professional has taken out a surety bond to ensure their work and safe operation. This bond is often supplemented by standard or specialized business insurance to cover liabilities which may be incurred during work assignments. The nature of an investigators field operations place them at great risk in many cases, so excellent insurance coverage is always desirable and recommended. 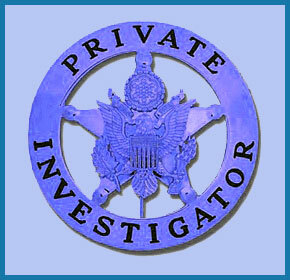 Hiring a private investigator should be done once you are sure that they are the right person for the job. We generally recommend that potential clients interview several investigators, before selecting the one who best represents their interests. Make sure to compare the cost, service, reputation and other significant details of an investigator before making your final determination as to who the ideal candidate truly is. Remember also that many investigators want to be paid a retainer fee and may require a substantial deposit upfront, before they will even consider performing any services. If your case involves legal representation, always consult with your attorney to be sure they approve of your choice of investigator and maybe they can even convince the detective to hold off on billing you until after the case is settled or won. Licensure and bonding are both criteria which tell you that a particular private eye has gone through all the processes they need to accomplish in order to truly protect themselves and their clients. Both of these criteria are credentials which have been earned by the investigator through their hard work, paid fees and attention to detail. Make sure to understand the basic licensing and bonding requirements in your geographic area prior to hiring a detective. Be certain to ask your candidate if they meet the minimum criteria and also inquire about what specialized training or qualifications they have to distinguish themselves from the competition. In the end, hire the best qualified person who gives you the best overall feeling about their ability to successfully solve or resolve your case.